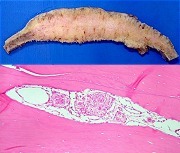 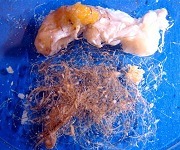 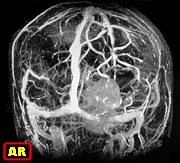 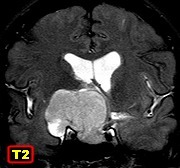 M. 47 yr. Temporal arterio-venous malformation. 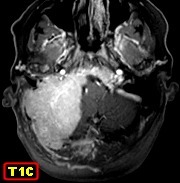 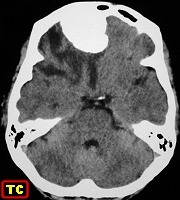 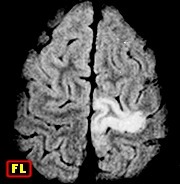 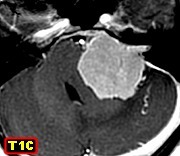 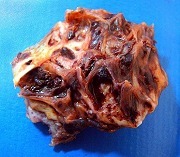 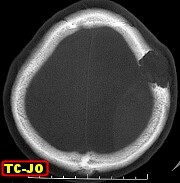 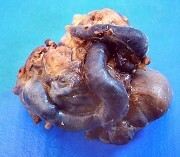 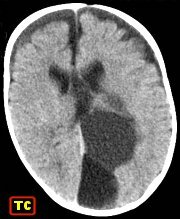 F. 42 yr. Intraventricular Cysticercus cellulosae. 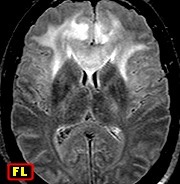 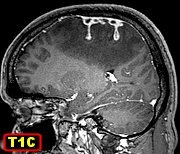 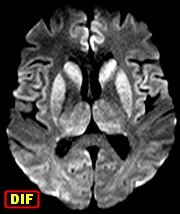 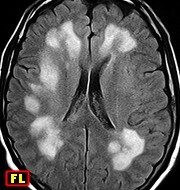 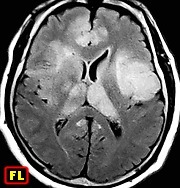 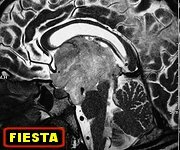 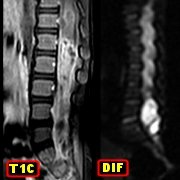 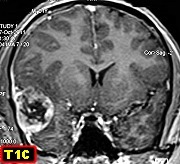 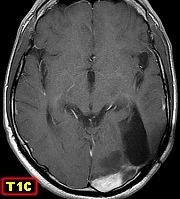 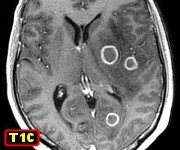 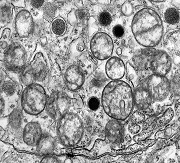 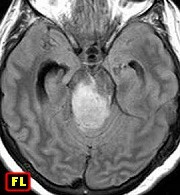 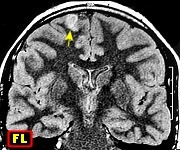 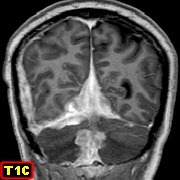 F. 1 yr 8 m. Herpes simplex encephalitis, acute phase M. 47 yr.
M. 24 yr. Atypical central neurocytoma. 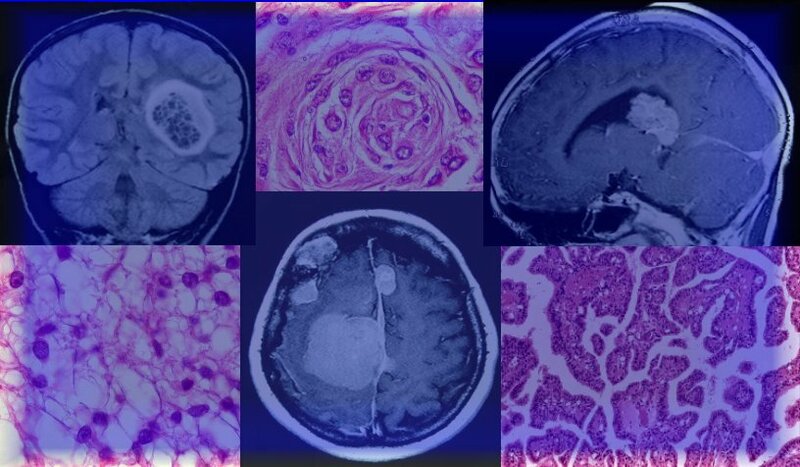 Pictured : atypical mitosis M. 35 yr. 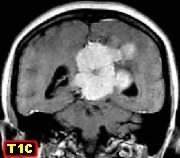 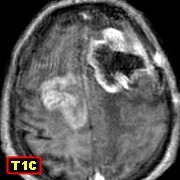 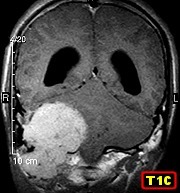 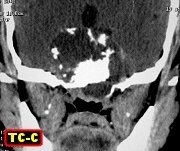 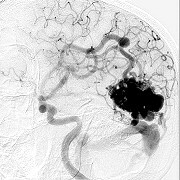 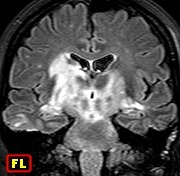 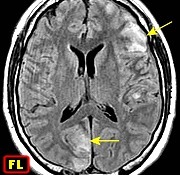 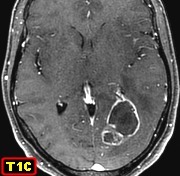 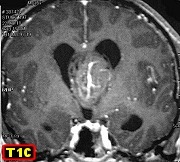 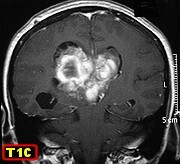 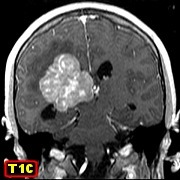 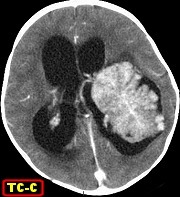 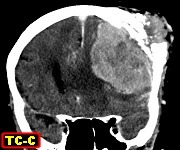 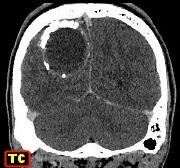 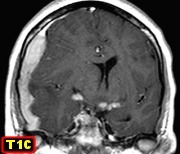 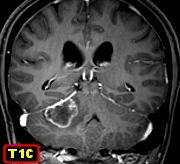 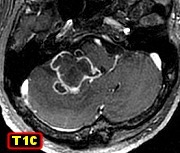 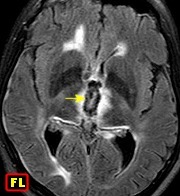 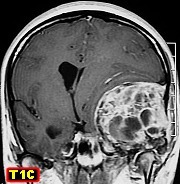 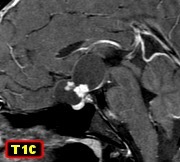 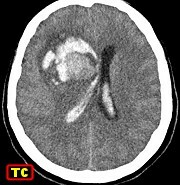 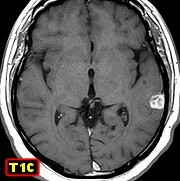 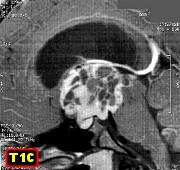 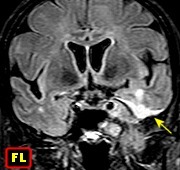 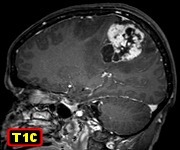 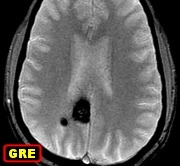 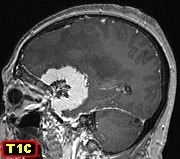 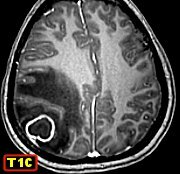 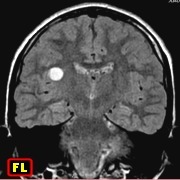 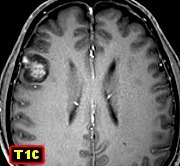 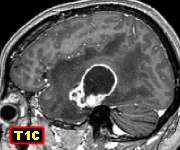 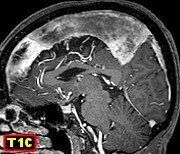 Classical central neurocytoma. 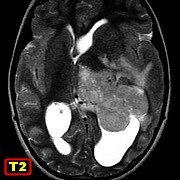 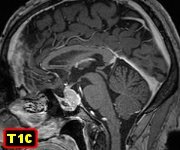 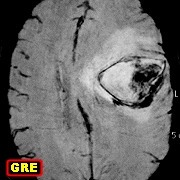 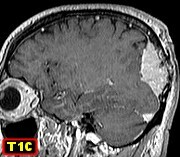 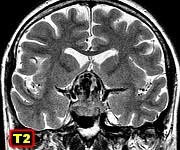 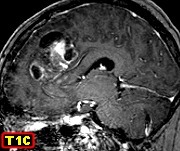 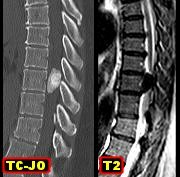 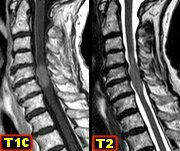 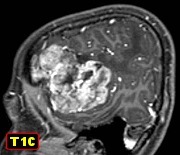 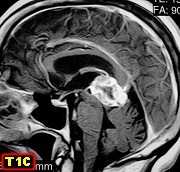 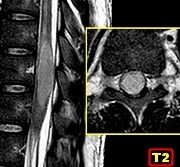 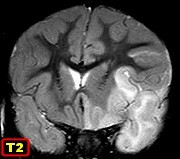 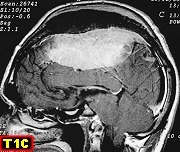 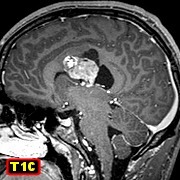 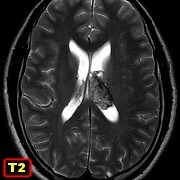 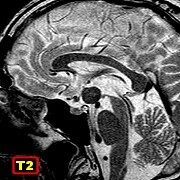 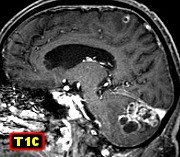 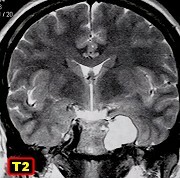 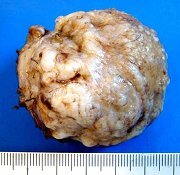 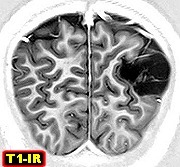 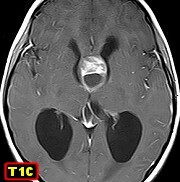 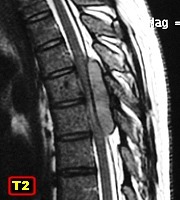 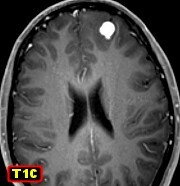 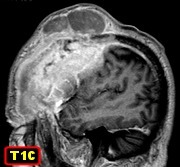 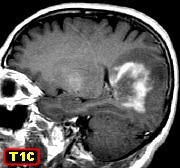 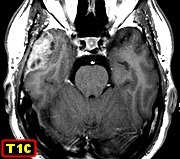 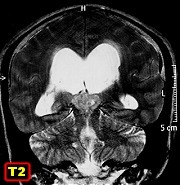 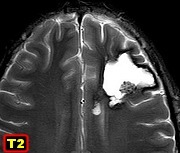 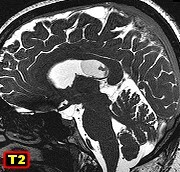 M. 28 yr. Subependymal giant cell astrocytoma (SEGA) unassociated with tuberous sclerosis. 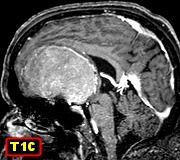 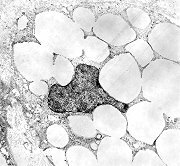 Pictured : MAP2 positive neuron-like cell M. 26 yr. Central neurocytoma. 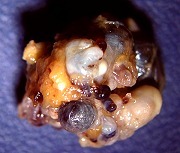 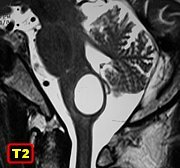 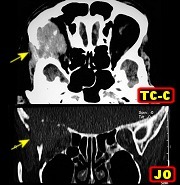 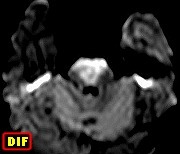 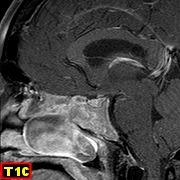 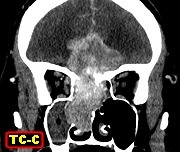 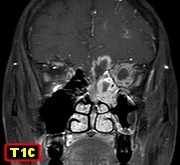 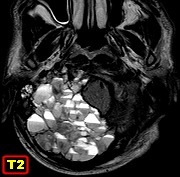 F. 44 yr. Ectopic invasive pituitary adenoma centered in sphenoid sinus, spilling into left nasal cavity. 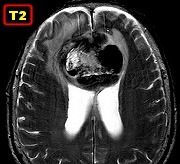 Normal sella turcica. 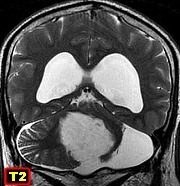 Pictured : growth hormone positive tumor cells F. 54 yr. Cerebro-spinal sarcoidosis.